Brock’s Charter Fishing is located in Barataria, La. This is only 30-45 minutes from downtown New Orleans. 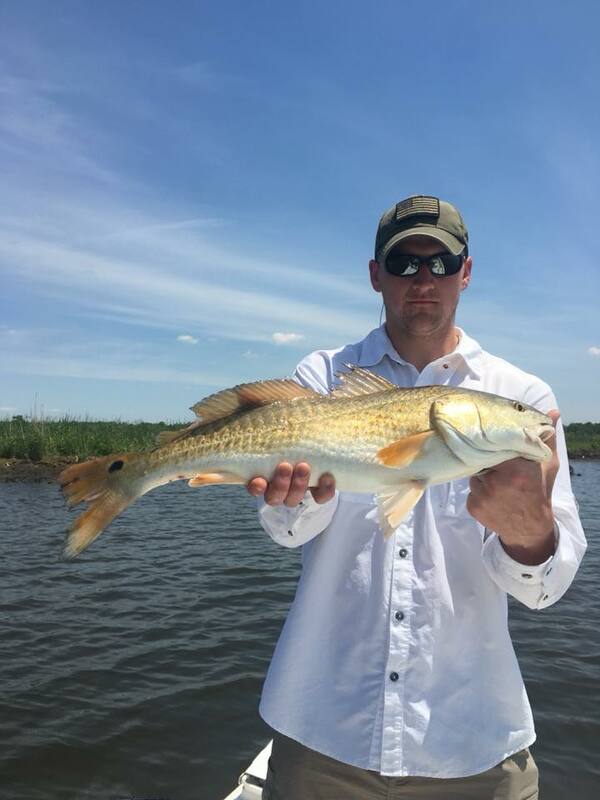 We specialize in fishing charters for Redfish, Speckled Trout and Black Drum. Morning and afternoon fishing trips are available. First-timers, experienced fishermen and children are welcome. Come by yourself, or with friends and family and create some memories that you won’t soon forget! What better way to spend one of your days while in town that reeling in some nice Reds like Stephen did with Capt. Brock. This was his first time here to the area and before he left, he said that he already can’t wait to come back! You could be next!! Call Capt. Brock today to schedule your trip…504-415-2001. Don’t miss out on all this fun.